My Talking Hank is the latest addition to the ever growing list of cute games by the developers, Outfit7. The game is targeted for kids but if you enjoy tamagotchi-style apps and kitty collector game mechanics, even adults can enjoy My Talking Hank. This game is compatible with Android and iOS devices but you can play on your PC with the help of an Android Emulator. My Talking Hank is all about adopting baby Hank, your virtual puppy. Hank playful and he will always be asking for something to keep you engaged. Depending on his demands, you’ll have to feed him, take him to the toilet where he’ll do something funny and swing him to sleep on the hammock. If he isn’t satisfied with the swinging, he won’t go to sleep. If he isn’t demanding, he’ll keep repeating whatever you say in his cute voice. The game’s story line is simple, you have to raise Hank and keep him happy. Hank is an active wildlife photographer. His dream is to collect pictures of all the animals on Hawaii island. There are a lot of animals ranging from White Bunny to Chocolate Mousse and many more. But the animals won’t stay at one place for long, so in order to take their pictures you’ll have to lure them with toys and food. The animal timer will ensure that you will never miss any animals. Capture the animal’s picture before they leave. Some animals leave coins and diamonds when they leave so be sure to collect those too. Hank loves to get makeovers and, thankfully, there are stores from where you have plenty of options to choose from such as his eye color, his hair style and his outfits. These objects can be unlocked with increasing levels and can be purchased with coins and diamonds. You can earn more coins and diamonds by playing Mini Games such as Fishtastic. You can also earn by watching video ads. The best way to keep Hank engaged is by giving him lots of animals to take pictures. This can only be done by unlocking new levels which will in-turn unlock different sectors of the island. 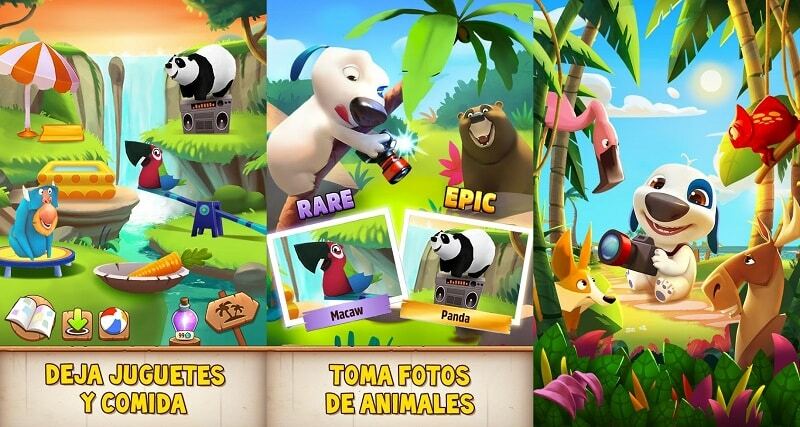 Different animals can be found by luring animals in the different sectors. Hawaii looks cool during day and even better during night. Take a walk on the beach or discover the forest with Hank. If you do not have the patience to wait for the completion of levels and/or do not want to play the Mini Games or watch the ads, there is always the option of in-app purchase wherein you can buy coins and diamonds, level unlock and outfits and accessories for Hank. As mentioned above, you can play the game on a laptop or desktop computer with the help of an Android Emulator. 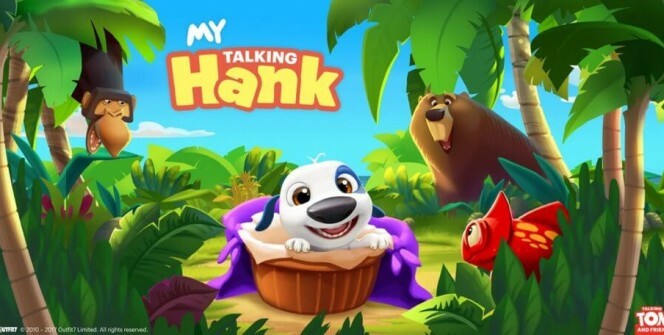 With this software, you can simply find and download the game from Play Store or you can directly download the apk file of My Talking hank and install. The benefit would be a larger screen for enjoying the game even more. Sometimes when playing My Talking Hank, bluestacks ask you fee to pay but gives you option to download some apps. Every time it asks you just select “Install apps” and continue using it free. I hope you enjoyed this article, please rate and share. If you have problems running My Talking Hank on desktop or any other issues, leave a comment below.